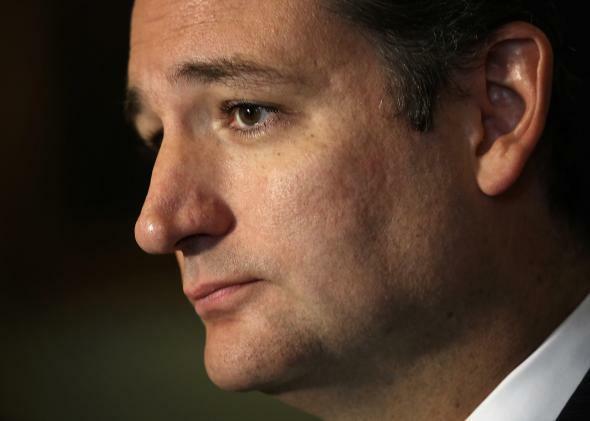 Cruz rebellion against Obamacare ends in tears: 79–19. The “noes” included the minority whip, John Cornyn, and the entire GOP leadership of the NRSC, the committee tasked with electing Republican senators—Jerry Moran and Ted Cruz leading off that count. They included Rob Portman, the Ohio senator seen as a possible dealmaker on tax reform—he finished the vote and went to talk to Republican members of Congress who observed the vote, looking crestfallen, from the corners of the Senate. The “ayes” included Mitch McConnell and a number of Republicans seen as national party spokesmen—i.e., establishment spokesmen. John McCain, Lindsey Graham, and John Thune all went “aye,” as did Ron Johnson, a 2010 freshman elected with Tea Party support.